Truck drivers operate semis, tractor trailers or other large commercial trucks when under the influence of drugs and/or alcohol. Truck drivers fail to focus on the road while operating trucks (i.e., when truck drivers are somehow distracted while driving). Truck drivers operate trucks without having sufficient sleep or rest (i.e., when truck drivers drive while fatigued). Truck drivers fail to properly maintain their trucks and/or overload their trucks (two forms of truck driver negligence that we’ll take a closer look at below). 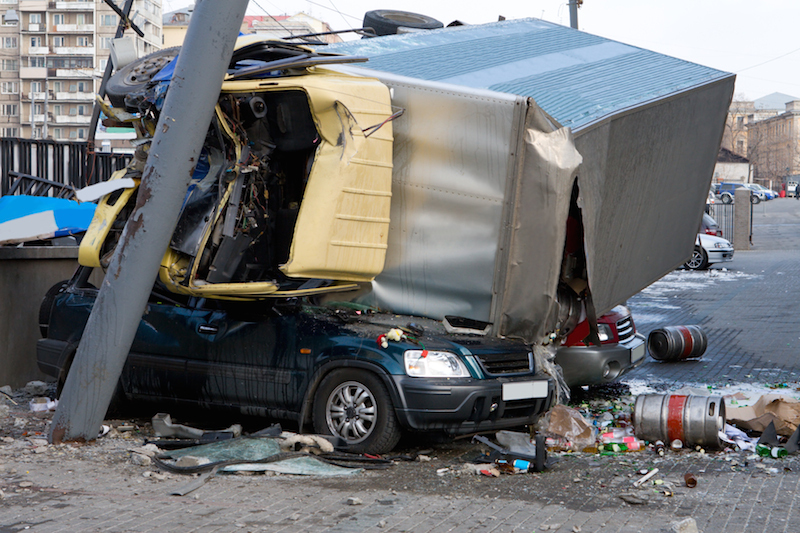 Can obtain compensation for their losses and injuries by filing a truck accident lawsuit against the negligent parties responsible for the accident. Repairing any equipment that is not functioning properly. If a truck driver fails to conduct such inspections on a truck, fails to notice malfunctioning equipment and/or fails to repair malfunctioning equipment, he can be considered to have been negligent and, as a result, may be held legally liable if such equipment failure causes a truck accident. Make it more difficult to stop or maneuver trucks (which can be especially problematic if a truck driver needs to quickly respond to changing road conditions – like an animal in the roadway). If you or a loved one has been injured in a truck accident that may have been caused by truck driver negligence, call the Boulder truck accident lawyer at Cederberg Law at 303-499-0449 or email our firm using the form at the left-hand side of the screen. Since 2011, our attorney and his legal team have been successful at securing results and compensation for people who have been seriously injured in truck accidents caused by other individuals’ negligence and recklessness. Having handled countless cases, our attorney has a deep understanding of the law, as well as the legal experience to fiercely defend your rights in any legal setting. This makes our trusted lawyer a formidable force that will not back down until you secure the maximum possible compensation for your injuries, expenses and losses.